I just got back from the Inluence event with Matt Brauning. 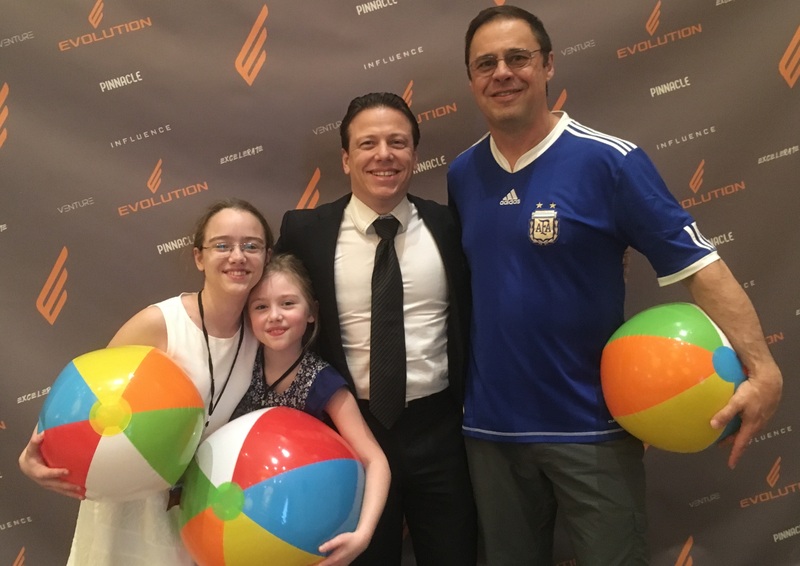 In a nutshell, it's an intro-to-NLP event that I really wanted my two daughters to attend with me. After all, homeschooling is not just about not going to school. It's about learning the things they wouldn't teach you in school—and Matt's event looked like exactly the type of an event that would benefit my kids greatly. It was amazing to see Patricia (9 y.o.) implement what she learned on the spot and see her confidence level jump to the all-time high as she communicated with strangers. On day 2 of the event, Matt treated us to Ruben Gonzalez, a four-time Olympian. He competed in Olympic luge 4 times in 4 decades—in 1988, 1992, 2002, 2010, and is on his way to compete in his fifth Winter Olympics in Beijing in 2022. Ruben had the entire room mesmerized. But it wasn't all just rah-rah. He shared some bits of wisdom that I would like to share with you. Lesson #1: When you come up with what seems like a crazy idea, ask yourself, "Why not me? Why not now? What do I actually have to DO to get there?" Lesson #2: Figure out your strengths and make a plan around it. Lesson #3: The harder it is to get there, the more people will quit on the way. Ruben became a 4-time Olympian not because he's a natural-born athlete, but because few people were willing to pay the price he chose to pay. Lesson #4: Whenever you paint yourself in negative words ("Oh, I always mess this up! ", "Oh, silly me! ", "I can't remember people's names! ", "I'm horrible at math! ", "I don't like sales! ", etc. ), your brain immediately starts searching for all instances in your past to confirm it. Almost like a Google search to give you the facts for your research, your brain is so "helpful". You think you can't remember people's names? Here are top 10 cases when you were embarrased in those very moments. You think you don't like sales? Here are top 10 cases when you couldn't close someone you think you should have closed. Instead, Ruben says you want to reconfirm the message in the positive and have your brain come up with the confirmation of THAT. Remember how great it felt when you could remember the name of that guy you met at a networking event last year? Remember how the relationship with your best client started with you closing them on your services? Lesson #5: When you have a big dream, there are really 4 steps for you to make it come true. Surround yourself with winners for help and inspiration. Listen to your coaches. Someone out there surely can teach you something that can help you accomplish your dream. Follow these 4 steps, and your success is not just possible. It's inevitable. Lesson #6: Most people know that truly successful people are first ignored, then they're laughed at, then they're challenged, and finally they're admired. Ruben put things into a new perspective by saying that you can't get to the admiration stage if you can't handle the laughter stage. And also this: if you're not being laughed at, you're not dreaming big enough. Lesson #7: Weak desires produce weak results. If you are not accomplishing what you say you want, ask yourself if you really want it that badly. The answer is probably no. Which of these lessons resonates with you most? Simply respond to this email and let me know. I personally read all your replies.